1,8 million visitors may not be all good news for the tiny populated island with fragile nature and underdeveloped infrastructure. The land of volcanoes, hot springs, moonlike landscape, amazing waterfalls and all surrounded by an spectacular ocean for whale-watching. Iceland has it all. While the tourist industry in Europe is shaking in fear of terror, the Vikings on the windy island in the North-Atlantic provide a safe heaven. Adventure destinations like Iceland are among the fastest growing markets in global travel business. 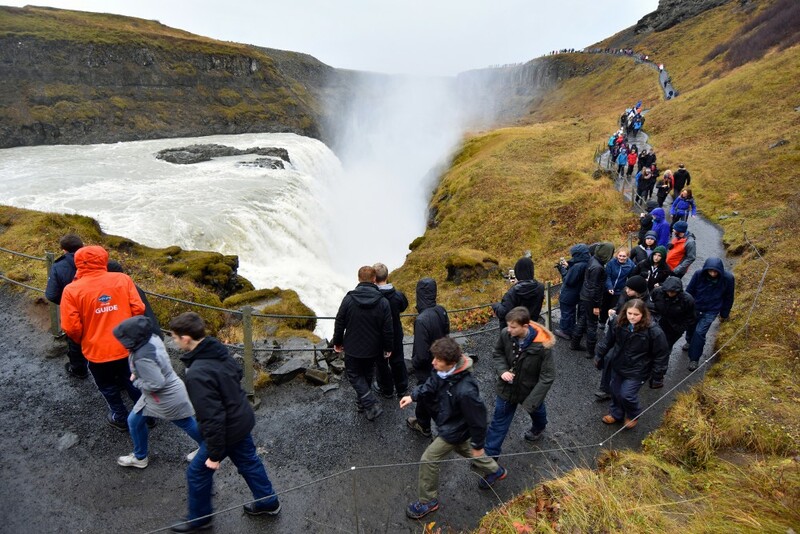 “Tourism is good for economy, but I am afraid we are doing the same mistake again as last time our economy overheated,” says Steinunn Hrafnsdóttir, Head of the Faculty of Social Work with the University of Iceland. “We are building very much, everybody is talking about how good it is going. I’m a bit worried,” she says. Tourism has overtaken fisheries as the most important industry. With an annual growth of 35 to 40 percent since the financial banking meltdown in 2008, tourism now counts for a third of Iceland’s foreign currency earnings. 2016 will be yet another peak with predicted 1,8 million visitors to the island that has only 323,000 inhabitants. Downtown Reykjavik you hardly find people speaking Icelandic. Bars, restaurants, shops are all overcrowded with visitors from North-America, Asia and Europe. Although providing jobs, mass tourism is not all good for the Icelanders. Residential housing prices are up 55 percent over the last five years. Homes that could have gone into sale for locals are instead being rented out to tourists. “It is crazy expensive to rent a flat,” says Petra Frimannsdóttir (25). She explains that people who own flats rather rent them out to tourists via Airbnb because it’s more financially advantageous for them than providing long-term rent to students and other young Icelanders. “None of my friends can afford to buy a flat without economic support from their parents,” Petra Frimannsdóttir tells. Gudmunda Palmadóttir agrees. The 27-year-old lives with her parents and has just started a dance-school. “It is expensive to rent, but impossible to buy,” Gudmunda says. As Airbnb turns flat owners into hoteliers, thousands of new homes are under construction or planning. The skyline of Reykjavik is packed with construction cranes. In the harbour next to Harpa concert hall and conference centre, a huge new hotel is under construction. That could be needed. Hotel-pricing even in late autumn in the Icelandic capital are indeed expensive, even compared with central London or Paris. Another challenge for tourism to Iceland is the strong currency. Króna has so far this year strengthened by 15 percent. Visiting Iceland is not as cheap as it was some few years ago. “Prices here are only seven percent below those of Switzerland, considered by the International Monetary Fund to be the most expensive country in the world,” the National Broadcaster RÜV quoted Konráð Gíslason, economist at Arion Bank, saying. In terms of pricing, Iceland is now more expensive than Norway. 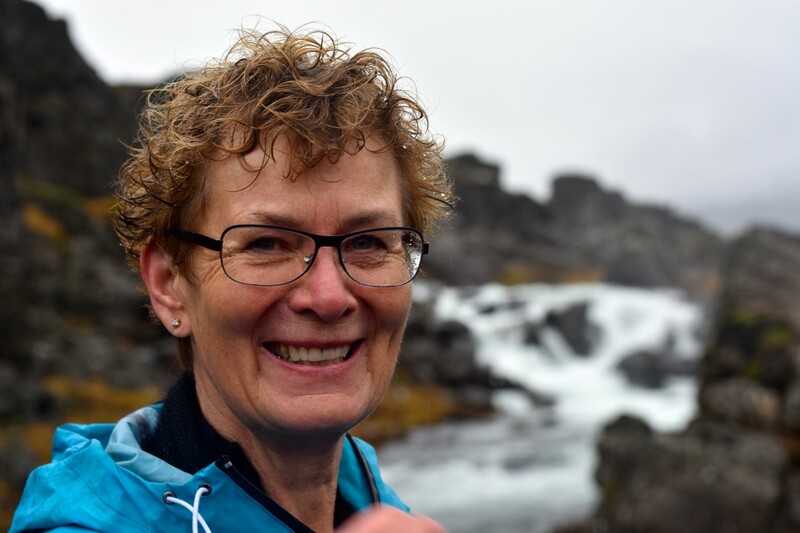 Sigrún Stefánsdóttir, former head of the national broadcasting service RÚV, sees tourism as a way to extend her professional career. 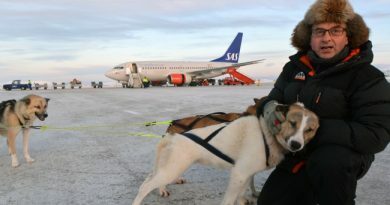 Sigrún now studies to become a guide at the University of Akureyri in the northeastern part of Iceland. “Instead of retiring, I will work as a tourist guide. We Icelanders like to work, even at an age when most Europeans retire,” she smiles. Skilled guides with local knowledge are needed. The nature on Iceland is not for everyone to just start hiking. Glaciers, hot springs and deep waterfalls surely offer unforgettable views, but can also be dangerous. Accidents increase, especially in traffic. Nearly half of all road accidents are involving foreign tourists. In rental cars, foreign tourists are inexperienced with gravel- and icy roads, one-lane bridges, or horses and sheep crossing the road. “Our roads, the infrastructure are not build for the amount of tourists we see now,” says Sigrún Stefánsdóttir. She is also worried about the pressure on nature. Iceland’s rugged landscape with tiny vegetation is vulnerable for the hundreds of thousands of tourists walking around. “I think we must protect nature and develop better infrastructure. Otherwise we will destroy what is unique with Iceland,” Sigrún says with a more worried facial expression. In 2014, the Organisation for Economic Co-operation and Development (OECD) said in a report that Iceland’s continued growth in tourism must be managed carefully to preserve the natural assets. OECD recommends Iceland to develop a sustainable tourism plan with mechanisms to ensure that tourists contribute to financing nature preservation. Most of Iceland is still unspoiled and wild. But not so for the so-called Golden Circle, the most popular tourist route possible to drive in a day from Reykjavik. It includes highlights like the famous Geysir geothermal area, Thingvellir National Park, the volcanic crater Kerid and Gullfoss waterfalls. Even now in late autumn, the sights are packed with tourists. In summer season, when tens of thousands of cruise-vessel passengers arrives in addition to the influx by planes, the crowds are so big that it starts to worry Icelandic tour operators themselves. “If too many are coming, the uniqueness they are attracted by could disappear and we risk loosing the market. It is a balance,” says Sigrún Stefánsdóttir. In the waves of tourists arriving to Iceland, Americans the largest demographic group, but Europeans and Asians are numerous as well. 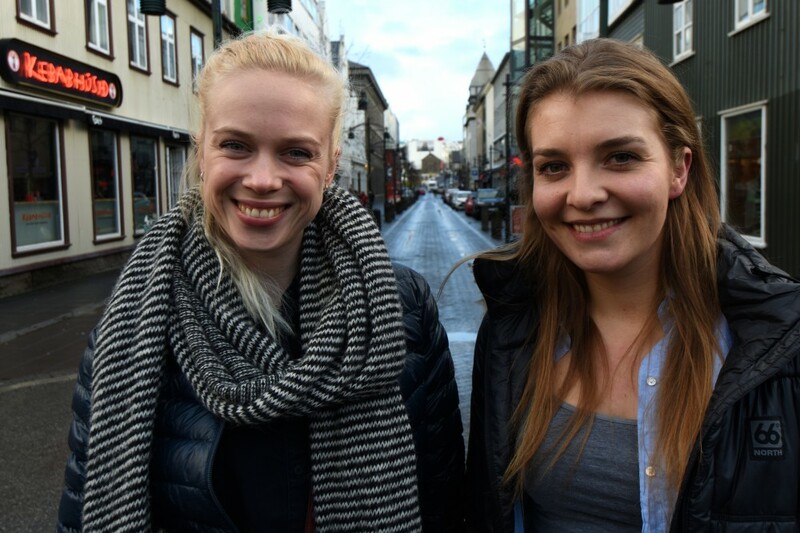 For Americans, Iceland feels safe after a year with terror and fear on mainland Europe. 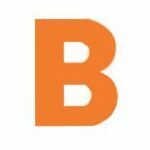 Flights are also cheaper, with Icelandair and low-cost carrier WOW Air providing routes to major European and North American airports. When Eyjafjallajökull volcanic eruption spread ash clouds across Europe in 2010, experts predicted a collapse in travel to Iceland. Today, the tourism industry on Iceland can conclude that the massive attention created by the eruption was the best PR-campaign ever seen. Game of Thrones, the TV series where Iceland’s dramatic eye-catching landscape was filmed, has also been a promotion few commercial PR-agencies could have created. Iceland’s national football team didn’t exactly made a bad move either for promoting the country when humiliating England by knocking them out of Euro 2016 football tournament. Iceland has less inhabitants than most of the smaller metropolitan districts in London. Speaking at the Arctic Circle in October, pioneer in expedition cruising in the north, Sven-Olof Lindblad, said all should be prepared, mass tourism is coming to the Arctic like lemmings. 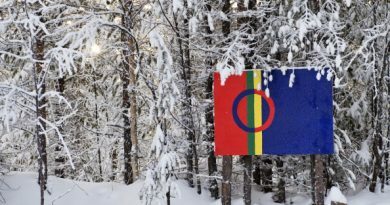 “People are underestimating the problems that need to be conquered,” Lindblad said to the Barents Observer. To the port of the Akureyri in the north of Iceland, 48 cruise vessels made 104 visits with a toatl of 128,000 passengers disembarking this season, statistics from the local port authorities reads. 58 cruise vessels have already signed up for port calls to Akureyri for 2017. The vessels will make 146 visits and bring more than 172,000 passengers. Akureyri is just one of many ports around Iceland where cruise liners make port calls. 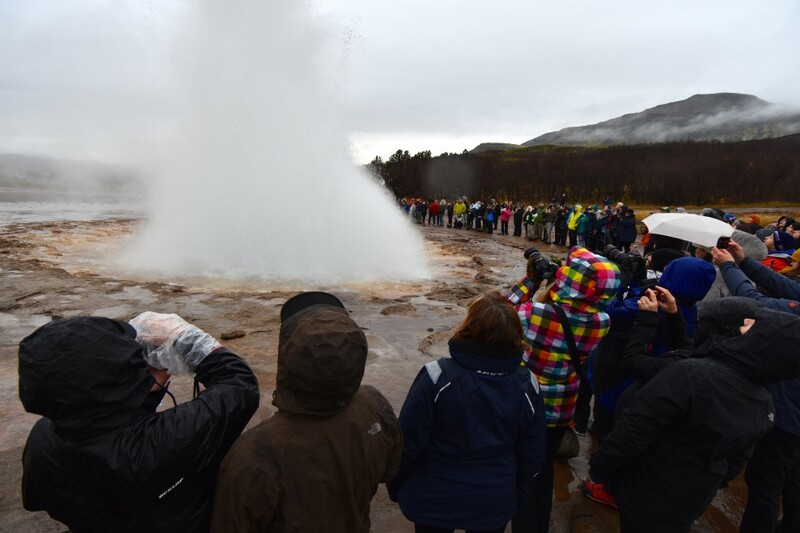 The tourism boom seen on Iceland today, can happen in other places in the Arctic tomorrow. In northern Scandinavia, winter tourism peaks at the snow hotel in Norway and ski-resorts in Finland. On Svalbard in the high Arctic, the number of Russian tourists has fivefold over the last two years.